Not all prosciutto is created equally. In Italy, there are many different types, varying in region and tradition. 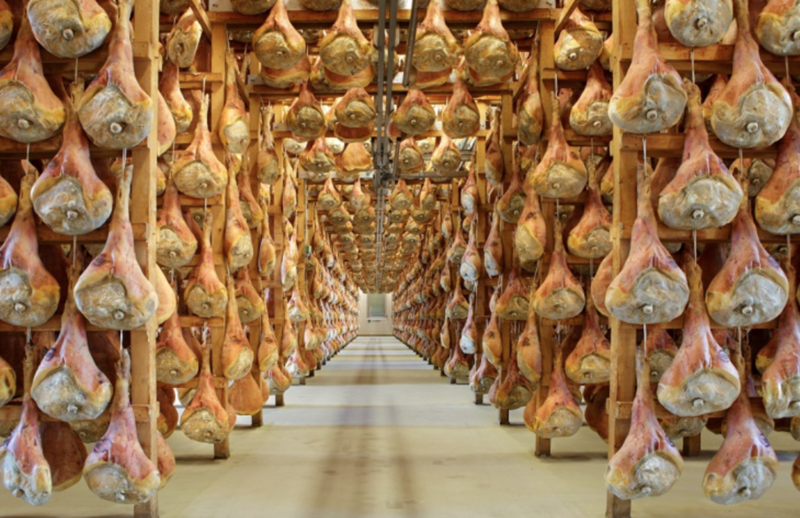 After visiting different prosciuttifici in Italy, our buyers chose to offer one of the most prestigious varieties in our markets: Prosciutto di San Daniele DOP. 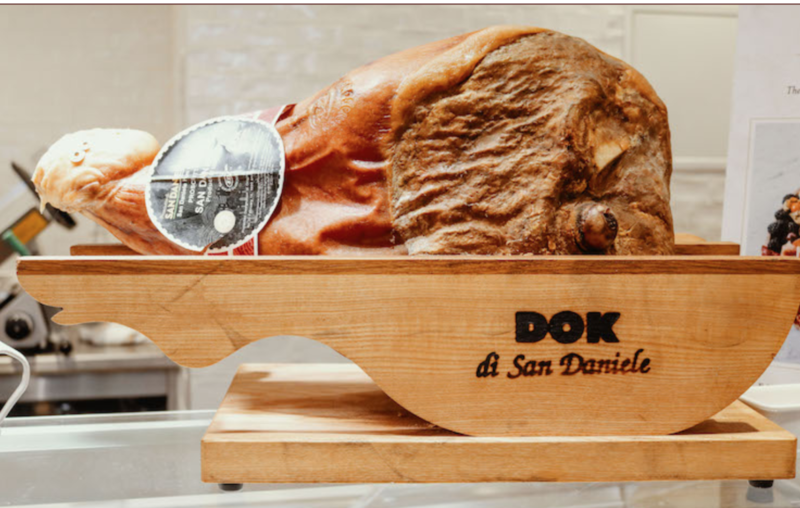 Prosciutto di San Daniele is made from just two ingredients: high-quality pork legs and sea salt. It is produced from start to finish in San Daniele, a small village in Italy's northern region of Friuli Venezia Giulia. The combination of intoxicating air from the mountains and the Adriatic Sea makes the San Daniele area the perfect place to age prosciutto. 1. The pig must be raised in one of the 10 regions of the central-north of Italy. 2. The pig must be raised using specific, age-old traditions. 3. The process and aging must take place in San Daniele. One unique aspect of Prosciutto San Daniele is the pressing stage. The legs are salted and then pressed for two to three days. This enables the salt to more deeply penetrate the meat, giving it more flavor. It also gives Prosciutto di San Daniele its signature guitar shape. The resulting prosciutto is simple, natural (without additives or preservatives), and delicious. 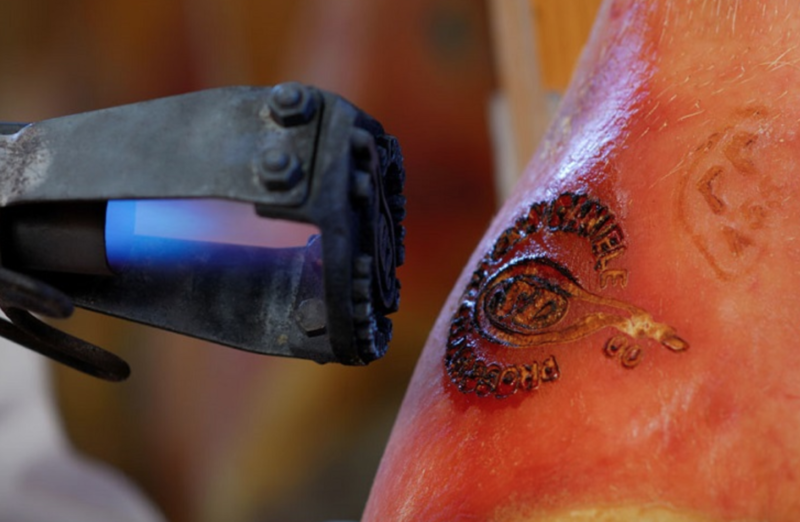 Certified San Daniele prosciutto is easily recognizable by its typical guitar-like shape, the presence of the trotter, and the consortium brand.